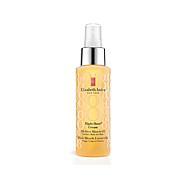 An anti-aging nighttime beauty treatment for the face with a proprietary formula that contains "youth secrets" of the bees, including Royal Jelly, Honey and Propolis. - InVitro and patch-tested for sensitivity on the face. Tested for sensitivity around the eyes. 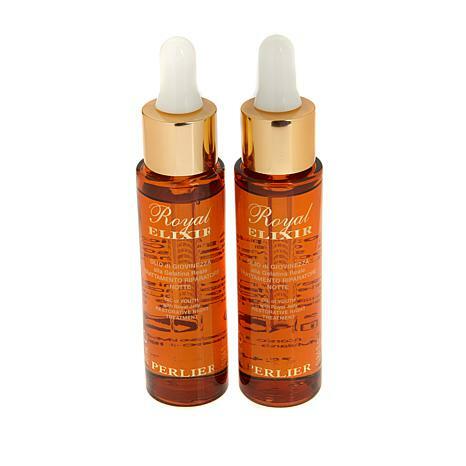 - Results suggest that ROYAL ELIXIR NIGHT OIL can boost skin cell turnover of aging or dead topical skin. Use nightly on clean skin. Apply to face and massage in. Ingredients: SHEA BUTTER ETHYL ESTERS, DICAPRYLYL ETHER, PROPYLHEPTYL CAPRYLATE, LIMNANTHES ALBA SEED OIL (LIMNANTHES ALBA (MEADOWFOAM) SEED OIL), SQUALANE, CAPRYLIC/CAPRIC TRIGLYCERIDE, TOCOPHERYL ACETATE, HELIANTHUS ANNUUS SEED OIL (HELIANTHUS ANNUUS (SUNFLOWER) SEED OIL), ROYAL JELLY EXTRACT, PROPOLIS EXTRACT, MEL EXTRACT (HONEY EXTRACT), C10-18 TRIGLYCERIDES, GERANYLGERANYLISOPROPANOL, ALARIA ESCULENTA EXTRACT, CITRUS AURANTIUM DULCIS PEEL OIL (CITRUS AURANTIUM DULCIS (ORANGE) PEEL OIL), LECITHIN, TOCOPHEROL, ASCORBYL PALMITATE, CITRIC ACID. I've been an HSN customer for 10 years. And after 10 years I'm starting to see a few age spots on my cheeks. 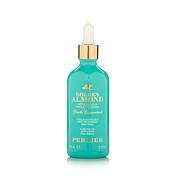 I took 3 weeks to research HSN's leading skin care products, reading reviews, product benefits. After my research I decided Perlier is going to address my needs best. This Royal Elixir feels royal when I put it on. I know it's going to be the answer although I'm still early in the use of it. It smells royal without too much smell. Perlier is now my dominant go-to. 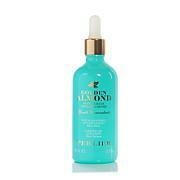 Love Royal Elixir products very much and this Night Oil is one of them. 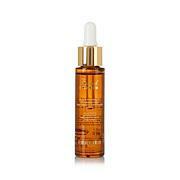 Oil but it is not greasy and make skin smoothly. I have super sensitive and dry skin and Royal Elixir works for me very well.